I have customized some of the shortcuts in System ▸ Preferences ▸ Keyboard Shortcuts. How can I restore individual shortcuts to their default settings? I do not want to reset all of the shortcuts, just a few of my choice. You can find these in the dconf-editor application, then using the "Set to Default" button to reset each desired entry. dconf-editor can be installed at the command line with sudo apt-get install dconf-tools. They key bindings stored in the gconf database, but they aren't all in the same place unfortunately. However, you can get a list of all the key bindings gconf keys by looking in the files located in /usr/share/gnome-control-center/keybindings/. 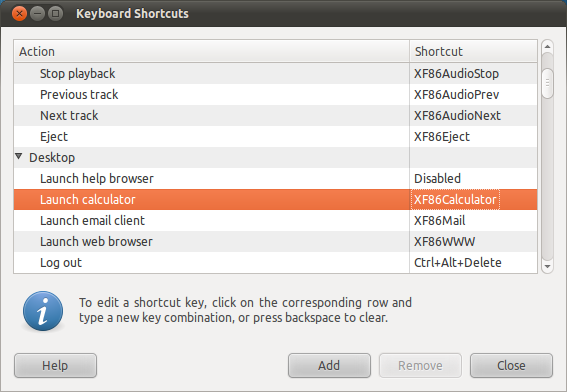 For example, /usr/share/gnome-control-center/keybindings/01-desktop-key.xml contains the list of keys for all the shortcuts Keyboard Shortcuts lists under Desktop. Once you know the key name you can restore it to its default value. Open gconf-editor (press Alt+F2 and type in gconf-editor). Right click on the setting, and click 'Unset Key'. This will restore it to the default setting. 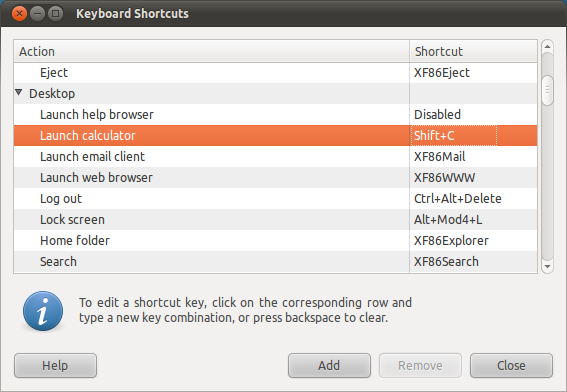 In Ubuntu 13.04 it's looking like a lot of the shortcuts can be found at org->gnome->settings-daemon->plugins->media-keys. I was able to reset my volume buttons with it and I didn't even need to look up the default values as there's a reset button. Use the dconf editor then go to org.gnome.desktop.wm.keybindings. Anything that is bold has been modified and you can click on Set to Default on the lower right for those entries. If you use Vim, you will want this syntax highlight. You will soon ask yourself what is <Primary>. and then modify them. The exact setting will then appear on the terminal. Git track the config file to never lose it. https://github.com/andsens/homeshick is my current favorite method. How can I restore default keyboard shortcuts in 12.10? 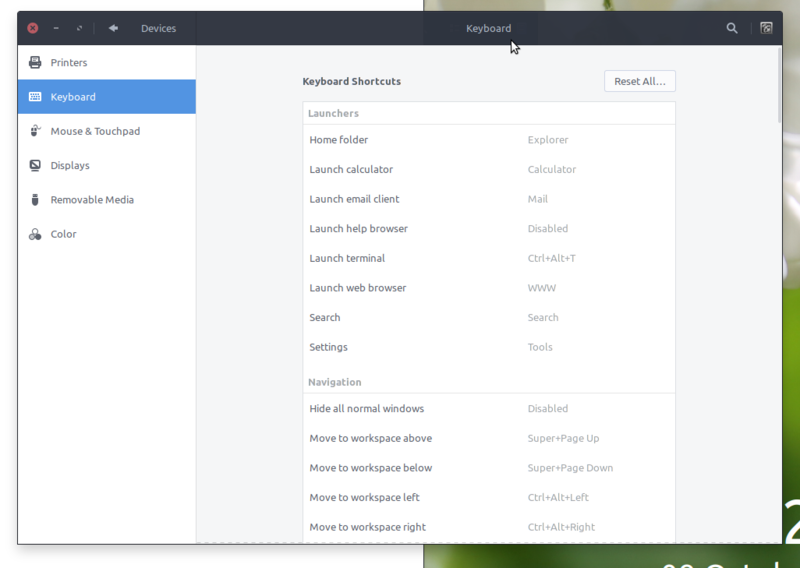 How to backup/restore system custom keyboard shortcuts? How can I restore default keyboard shortcuts in 16.04? Weird accidental key mapping, CTRL key alone loads home page on Firefox and home directory on Nautilus, how to revert to default behavior? How can I find which command is bound to a given keyboard shortcut?